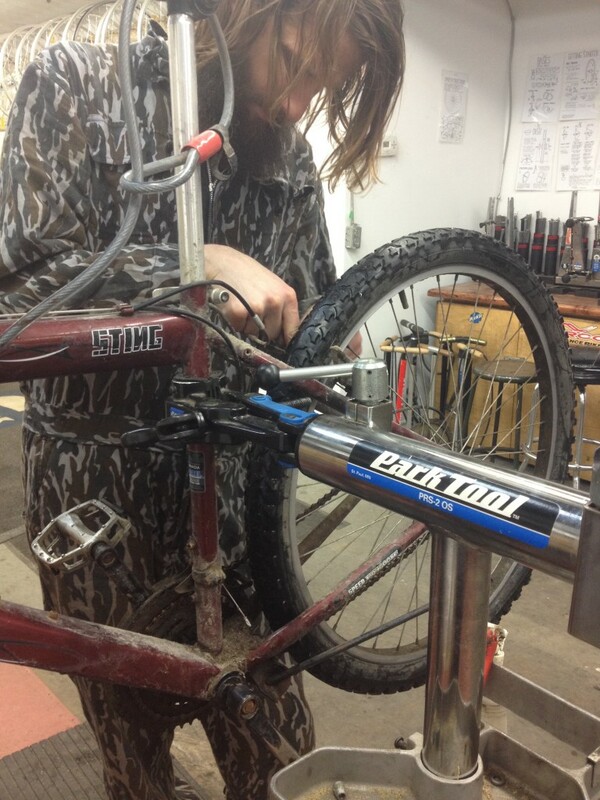 In 2006, Bike Pirates first began as a self-described anarchist community of bike punks and aspiring mechanics working on a pay-what-you-can basis. They moved from their original location on Bathurst near College to Bloor near Lansdowne, and now they've relocated to their biggest location yet, right in the middle of lively Parkdale. Clearly, something in their DIY spirit and volunteer ethos is working. 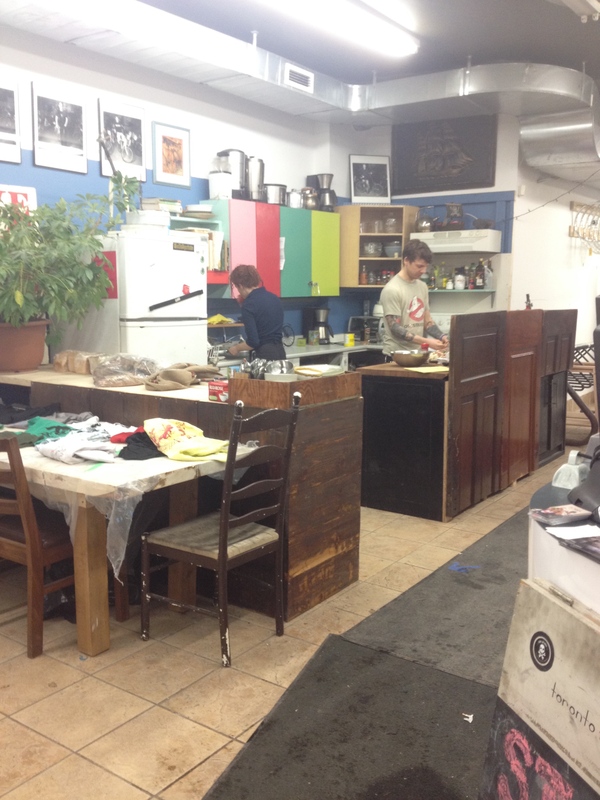 dandyhorse toured the new location, at 1416 Queen Street West, which opened February 21 --launching along with the Icycle 2015 after-party celebration. 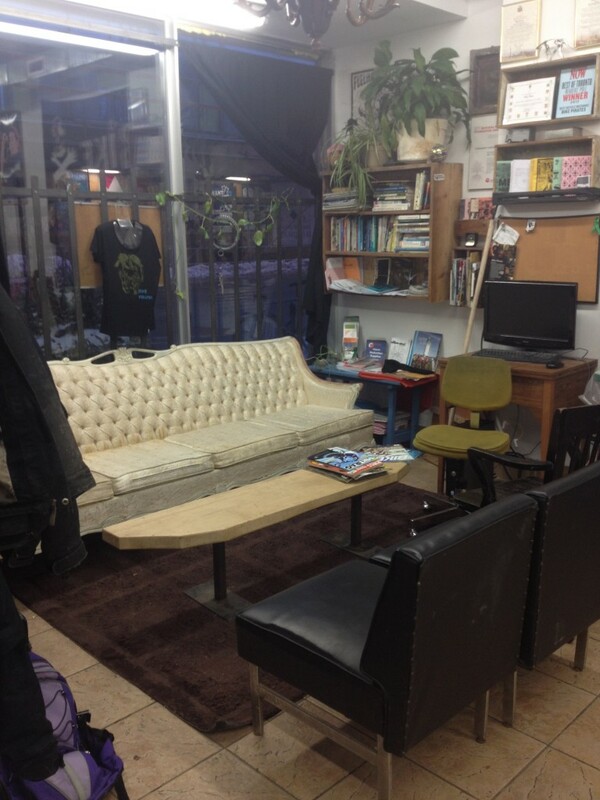 As you walk in the door there's a lounge area with a long off-white couch and a large black homemade pirate flag that proudly covers most of the wall. A small chalkboard propped up facing the door kindly reminds visitors "we are still renovating." A re-purposed bass amp in the corner provides background indie rock---currently, Plants and Animals' Feedback in the Field. Just beyond is a small kitchenette, where a volunteer stirs chili in a big silver pot, the warm spicy smell spreading through the air. 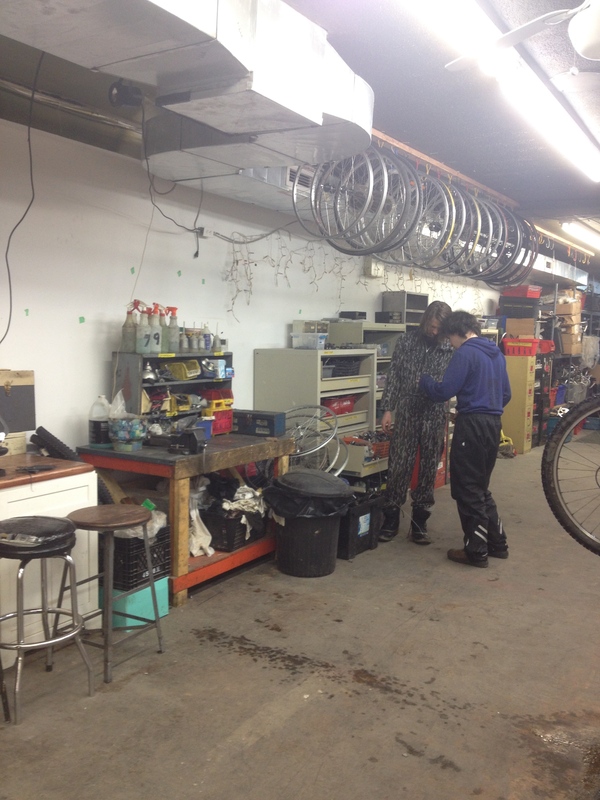 This is the home/garage of some of Toronto's most altruistic bike mechanics---one of whom is David Oliver, who greets me in a blue hoodie tucked into black snowpants. David became a Bike Pirate three years ago along with some friends who wanted to build bikes and stuck around out of a love for fixing and tinkering. But he soon found that his volunteer job involved a fair amount of teaching, as well. 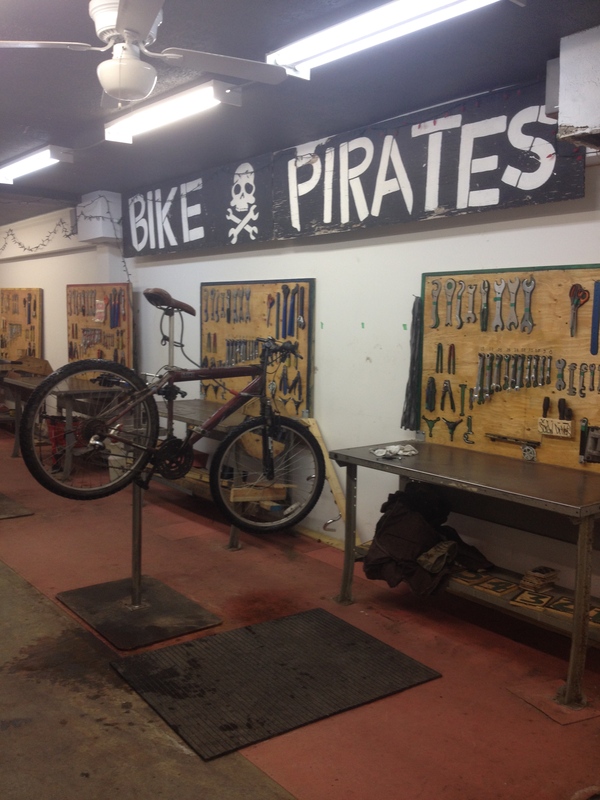 Despite a sign in the window warning visitors that Bike Pirates is a DIY environment, David says the vast majority of people who come through the door "don't know anything at all." The shop is much quieter in winter, and today, anyone requiring instruction has been weeded out by the cold. Past the kitchen the tile floor turns to bare cement and the core of the shop begins. A row of four double-sided Park Tools work stands lines one wall. Along the ceiling on one side hang rows and rows of tires, and opposite these is a row of bare wheels with homemade yellow price tags. 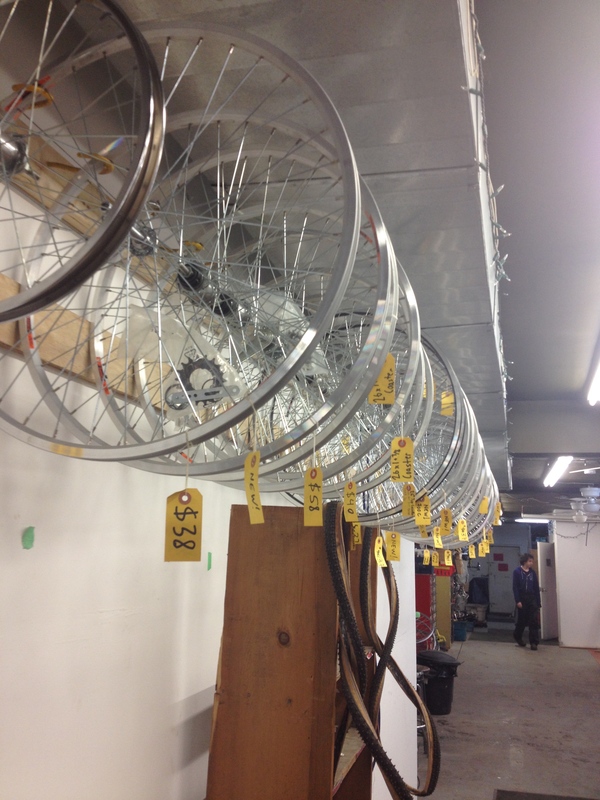 Everything at Bike Pirates is sold for a simple donation except for brand new parts---such as these tagged wheels---which still sell for less than at traditional bike shops. Despite the big new location, the plethora of bike tools and the knowledgeable staff, Bike Pirates is no traditional shop. While most are happy to take your money and work their magic behind-the-scenes, here it is laid bare---the grease, the grime, the process. You'd have a hard time leaving without getting your hands dirty, or learning something new about bike maintenance and care. And all this for just a small donation. 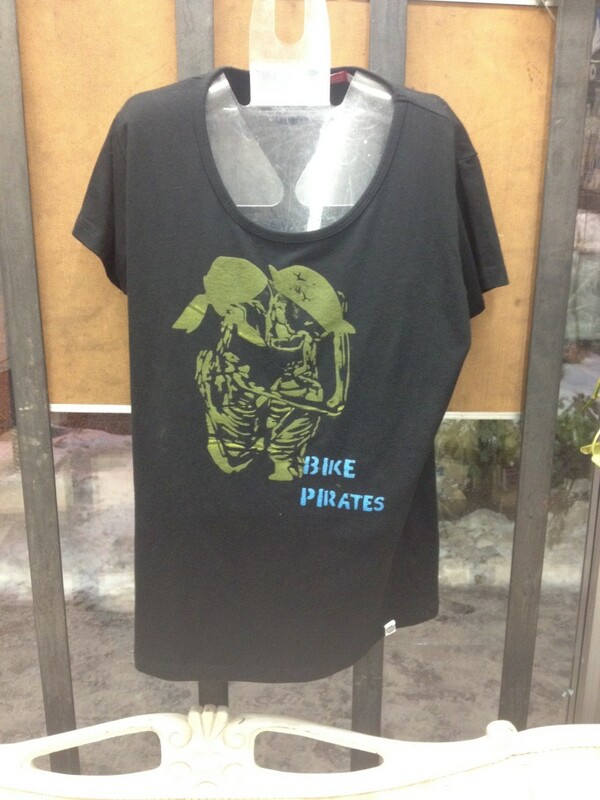 Bike Pirates, on 1416 Queen Street West, is open Mondays and Tuesdays from 5 p.m. to 9 p.m., Thursdays and Saturdays from noon to 7 p.m., and offers special trans-people-and-women-only hours Sundays from noon to 6 p.m.